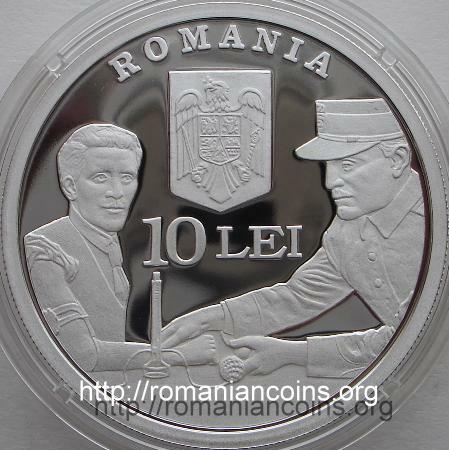 The pictures on this page are present on Romanian coins through the kind permission of Mr. Adrian Popovici. We must thank to Mr. Yu_L.Yan also. About Romanian physician Victor Anastasiu (1886 - 1972) and about I.N.M.A.S. Victor Anastasiu was born at Huşi in 1886. 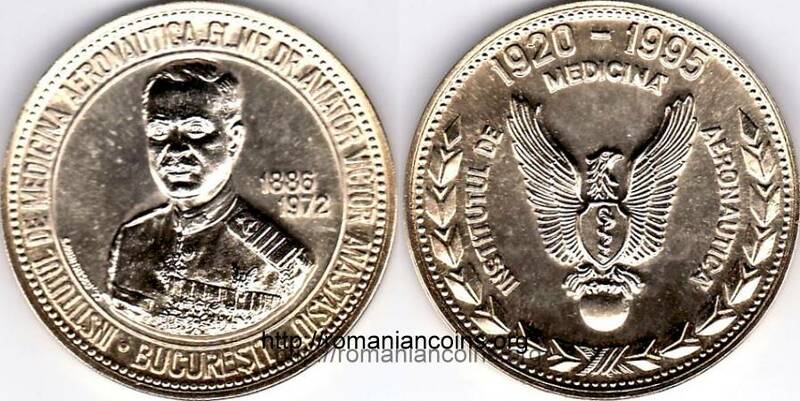 In 1913 he was physician and lieutenant in the Romanian Royal Army. He took flight lessons, and he became the first Romanian medic that obtained a pilot license (in 1916). In 1918, when he had the rank of major, Victor Anastasiu was appointed chief medic of the Sanitary Service of the Aeronautics. In 1920 he established the Aeronautical Medical Center. 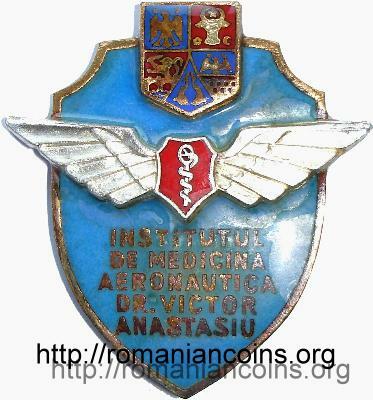 In 1939 he was commander, being chief of the medical services of the Romanian Royal Air Forces. 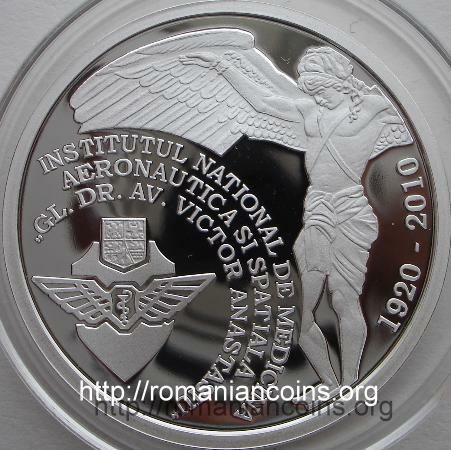 In 2001 the Institute of Medical Medicine - descendant of the Aeronautical Medical Center - was renamed "National Institute of Aeronautical and Spatial Medicine General Doctor Pilot Victor Anastasiu". The image on the obverse was made after a photography from 1914, displaying lieutenant and physician Anastasiu during the measurement of arterial blood pressure of a candidate to the flight school. The picture was published into Realitatea ilustrată (Illustrated Reality) magazine from the 6th of June 1939. Other information about Anastasiu can be found here. For measuring the arterial blood pressure, doctor Anastasiu uses in the image a Riva-Rocci sphygmomanometer (sphygmos meaning pulse in Greek; the Italian physician Scipione Riva-Rocci (1863 - 1937) built a manometer with mercury for measuring the blood pressure; its use became quickly wide spread).